Veterans Day is kind of a fun day for me. I get to contact all of my family members to thank them for serving and they think me back. 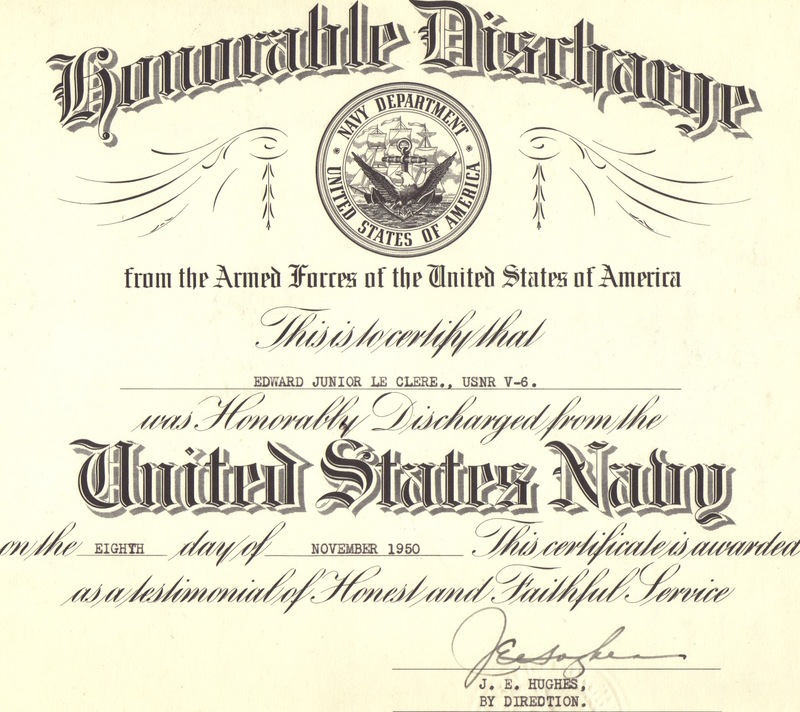 I myself served in the Army for 10 years, in the reserves, but I actually come from a long line of Naval folks. 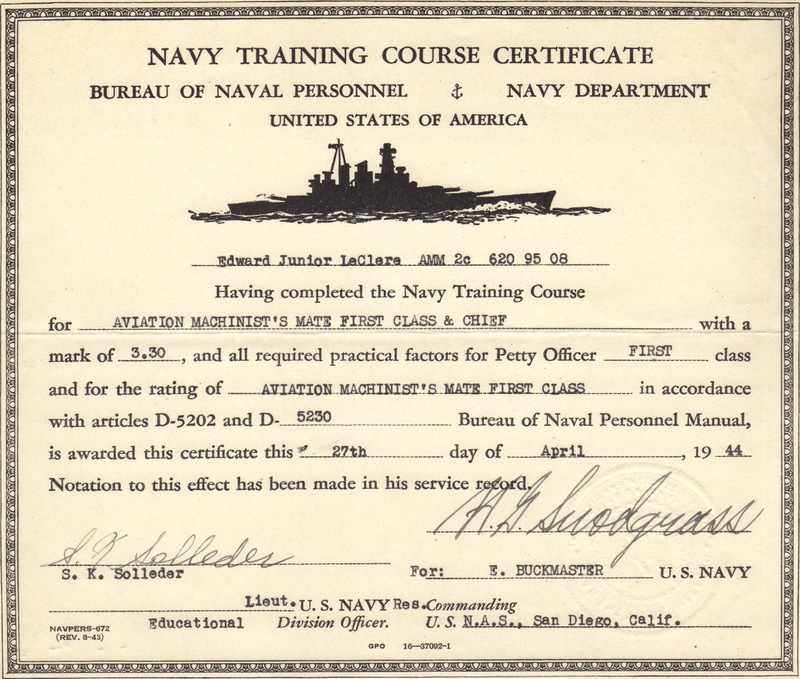 But no one can top telling me that I should have gone Navy than my grandfather, Ed LeClere. My grandfather was the one who hosted family gatherings and allowed 16 crazy grandchildren to wreak havoc upon it. My grandfather is famous for making navy bean soup for all weary travelers who showed up at his door. He is the one that had the speedboat behind which we all learned to water ski. He had the most awesome and amazing sledding hill behind his house. His garage had the flat roof which we all would climb up on and then dared each other to jump off. But my grandfather was not always just grandpa. He was once a son whose mother had to kiss good-bye. 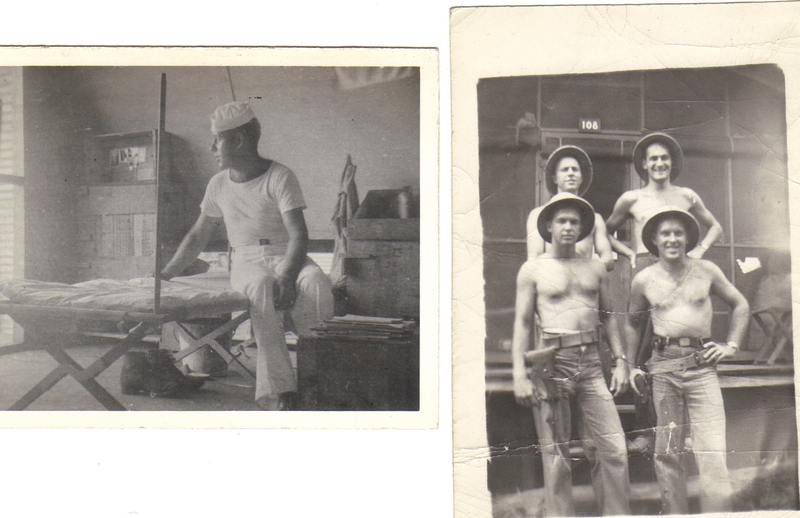 He was the boyfriend my grandmother watched shipped out and prayed for. 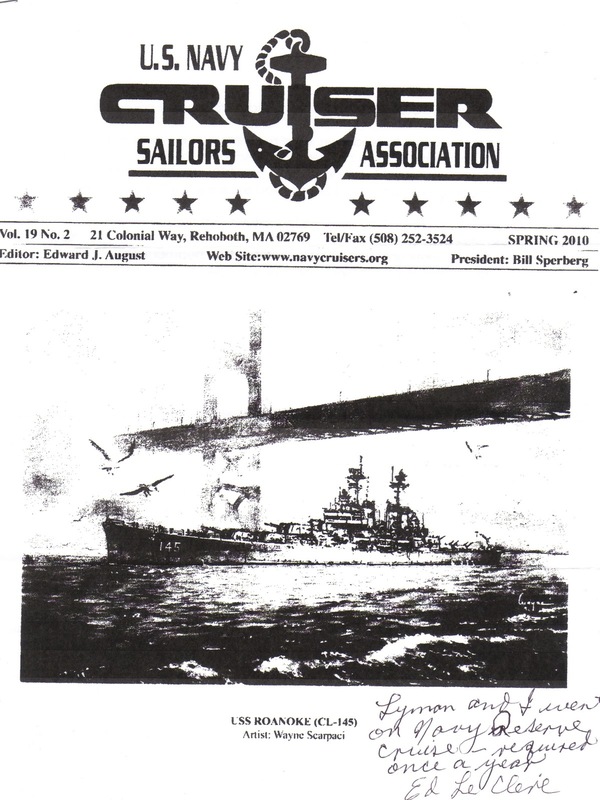 He was drafted in 1943 and went to serve in the Navy during WWII. My grandfather at Boot Camp. Grandpa was an airplane mechanic! This is the route for his tour of duty. He served in Manila in the Philippines and basically island hopped as he serviced planes. 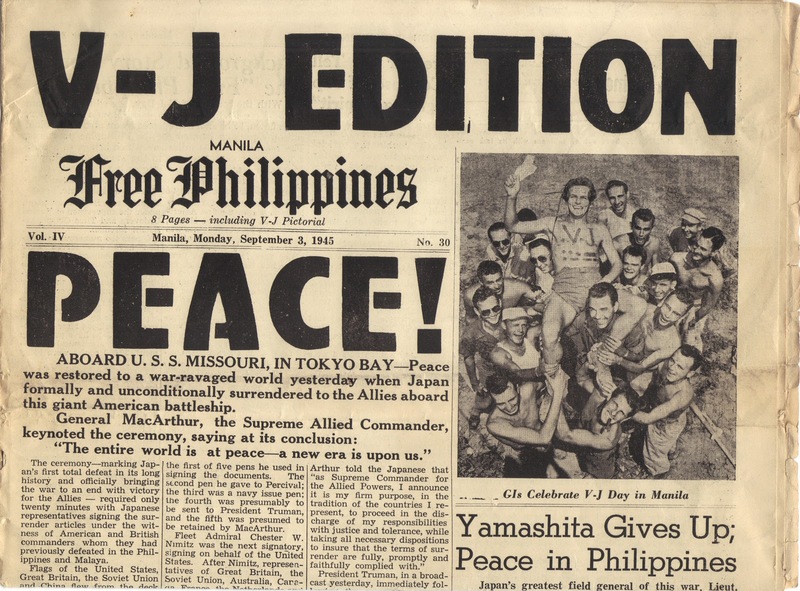 This is grandpa at his bunk and with his teammates in Manila. 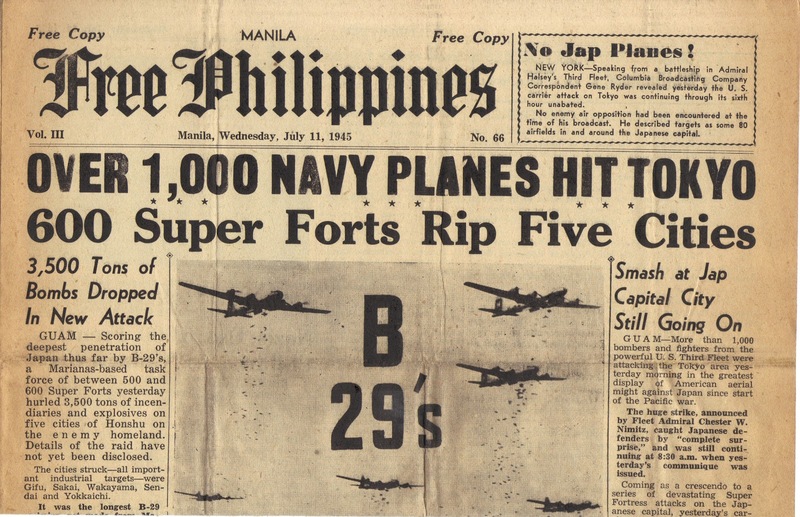 Grandpa saw his share of beat up planes after an attack on Japan. 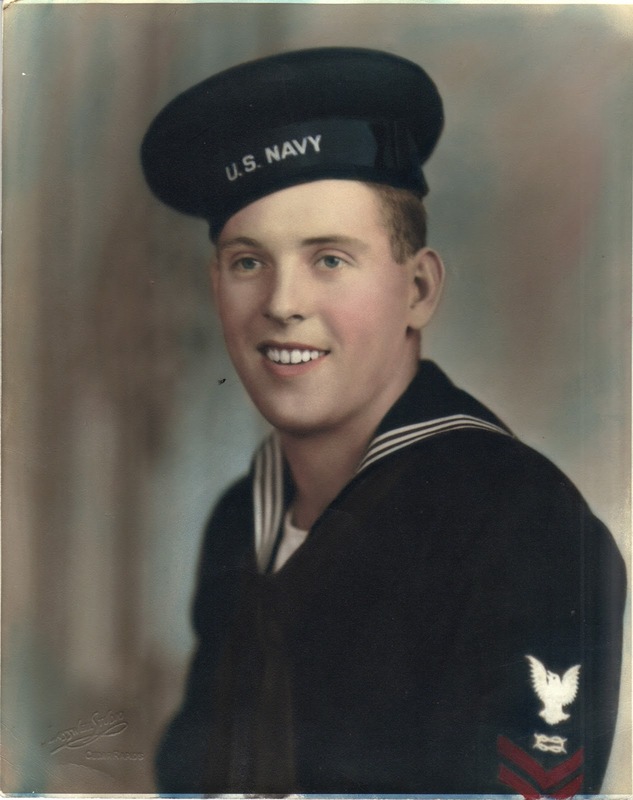 My grandfather remained in the naval reserve for years after World War II. 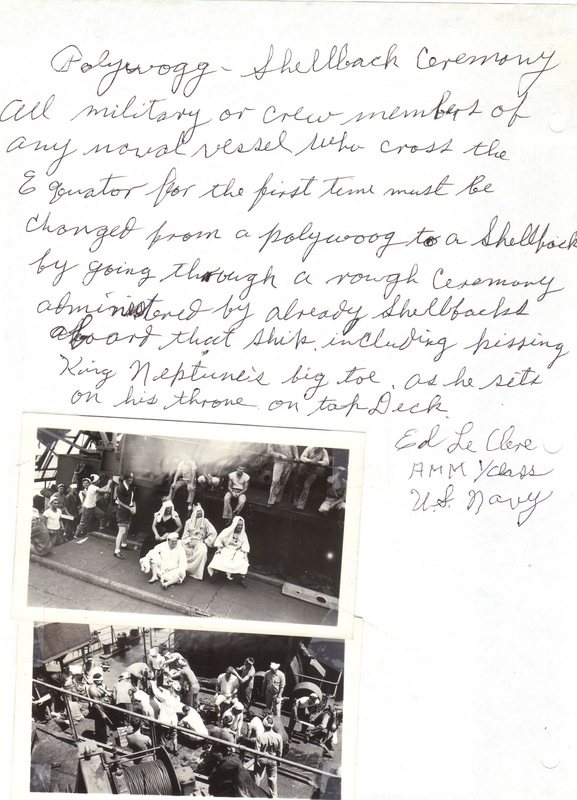 He was even called back into service during the Korean War. Of course it made sense for Naval reserve folks to have to take a cruise every year to stay “up to snuff”. My grandfather was released from the Korean War duty and was able to go home to help raise his family. The youngest boy at home during this time was my father. When we were stationed in Washington DC, I had the privilege of meeting my grandfather at The Mall downtown to celebrate his service during World War II. 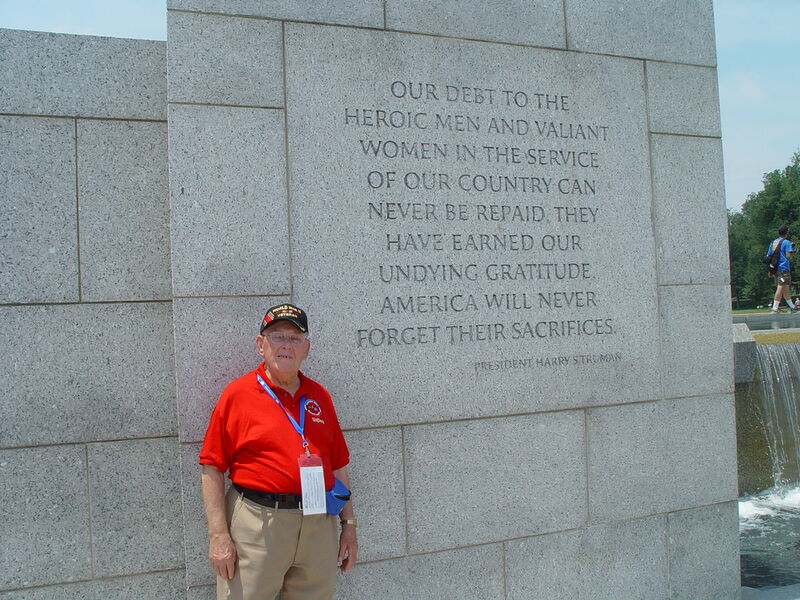 He had been offered to take an honor flight to tour the Nation’s capital. 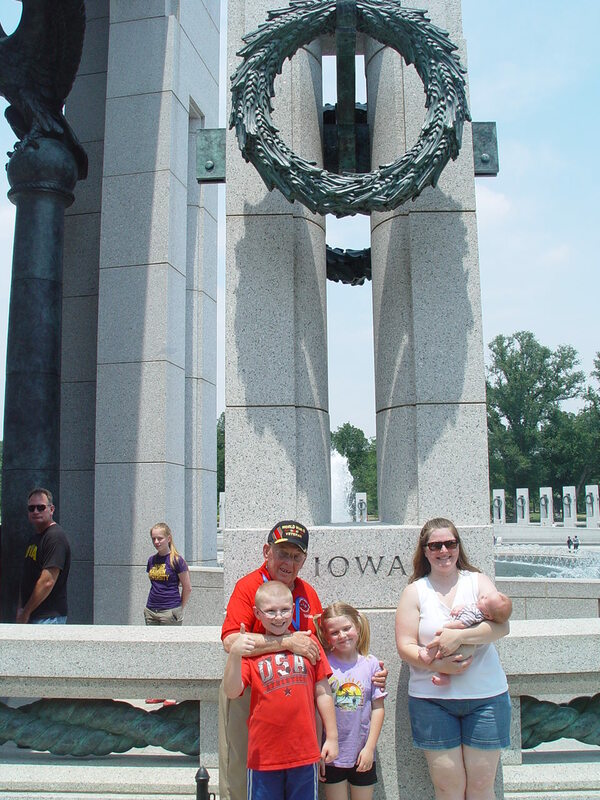 He had the time of his life and I really appreciate what the honor flight does for our veterans. Thank you for your service grandpa!!!!! Thanks Grandpa! Thank you for inspiring it! Wonderful, wonderful post! I beautiful tribute to your grandfather. 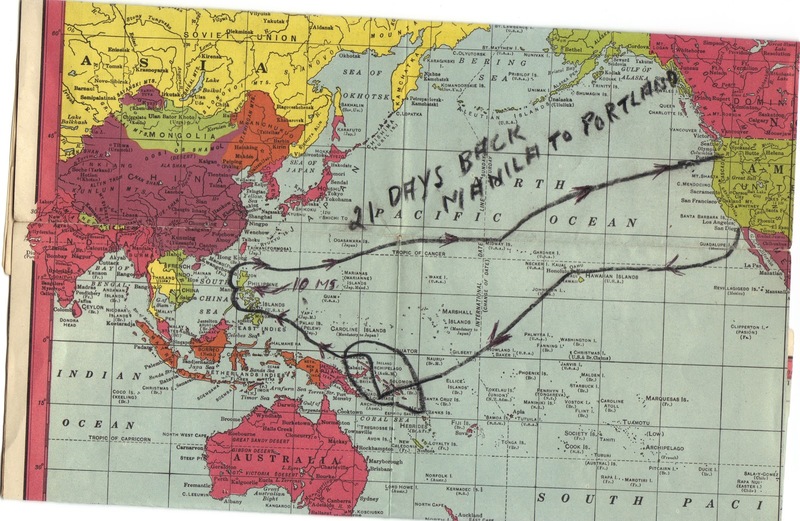 My grandfather was also in the navy and was stationed in the Solomon Islands. I think he belonged to the best generation ever! Thank you Tammy, I agree. They were selfless and they thought of others when they went to go serve. Thank you and thank you to your grandfather. Such a wonderful tribute to your grandfather and those who have served. Love the old photos! Thank you Traci, hug yours and tell him his service is also appreciated!! Grandpa and Jo actually did all the gathering 😉 I know, I learned a lot myself! !